Stunning! 5 * Apartment Available Now! 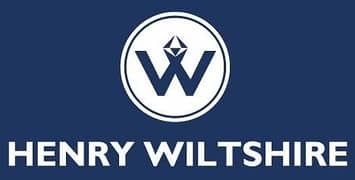 Looking to buy an apartment in Al Maryah Island instead? Situated northeast of Abu Dhabi, the Al Maryah Island has been named after its indigenous wildlife, which is the Arabian Oryx. Amongst the several projects focusing on developing real estate in Abu Dhabi, the Al Maryah Island has been purposely developed to be the new city centre, making this community the largest development project in Abu Dhabi. Properties in Al Maryah Island will range from residential apartment buildings, offices, hospitals and several places of interest. The Abu Dhabi government has planned to setup their new stock exchange market on this Island, which will be called Sowwah Square. To the east of the Island is the community of Al Reem Island. To the west of this Island, residents will find the district of Al Danah. 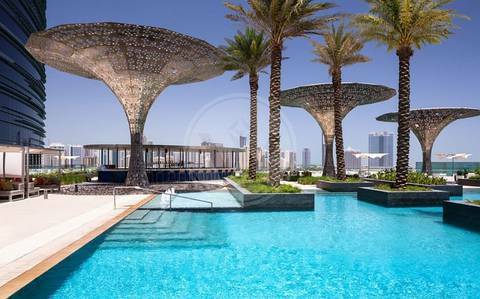 The Al Maryah Island is considered to have a large selection of luxury residential-units for rent. For example, extravagant 1-bedroom apartments for rent in Al Maryah Island will on average come with 2-bathrooms and 1,216 sq. ft of residential space. 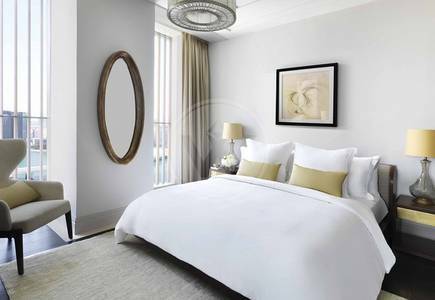 For a 2-bedroom, 3-bathroom luxury apartment, one will have the choice of selecting a flat with either 1,636 sq. ft of space or 2,131 sq. ft of space. In the 3-bedroom category, some apartments on average will come with 4 bathrooms and 2,070 sq. ft of living area. A 3-bedroom, 4-bathroom unit with 2,070 sq. ft of residential area will lease for an average cost of AED 175,000 annually. The rental price of a 2-bedroom apartment for rent in Al Maryah Island that comes standard with 3-bathrooms will hover around AED 195,000. The rates of the 2-bedroom apartments are higher due to the fact that 2-bedrooms flats are mostly classified as high-end luxury apartments. A 1-bedroom residential-unit with 2-bathrooms and 1,216 sq. 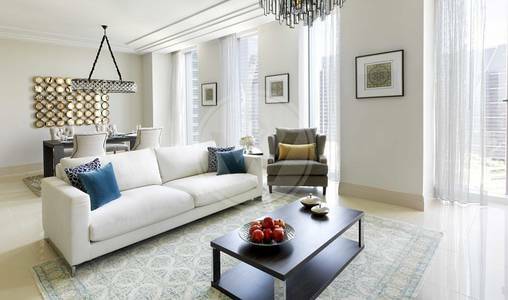 ft of living area will lease for an average cost of AED 115,000. Apartments in Al Maryah Island are estimated to grow in value. This is because this Island is set to become home to large blue-chip multinational companies. This vicinity is poised to become a hub for shopping for luxury goods with several name brand stores scheduled to open soon while many are already open. The nightlife on this island is vibrant and dynamic. Residents can visit multiple pubs and bars in the vicinity on the weekends. For example, there is the Captain's Arms pub situated in the Le Meridien Abu Dhabi. Facing the western corniche, there’s the Hidden Bar in the Rosewood Hotel, here residents will be able to enjoy a variety of beverages in a relaxing ambiance. For those seeking a little extra thrill, there’s a go-kart circuit in the community where children and teens can fuel their need for speed. Nearby, residents will have access to world-class healthcare facility, as there is the Cleveland Clinic Hospital within the community borders. Since this Al Maryah Island is considered the biggest property project in Abu Dhabi, there’s a good chance one will be able to find apartments for rent in Al Maryah Island. Many people are motivated to search Al Maryah Island apartments for rent, because there’s the benefit of working and living in the same community. For those people who work in one of the many 400 retail stores or those who have acquired employment in one of the many blue-chip companies established here, renting apartments in Al Maryah Island makes great sense. It can also be a good idea for entrepreneurs looking to setup office here to start searching apartments for rent in Al Maryah Island. 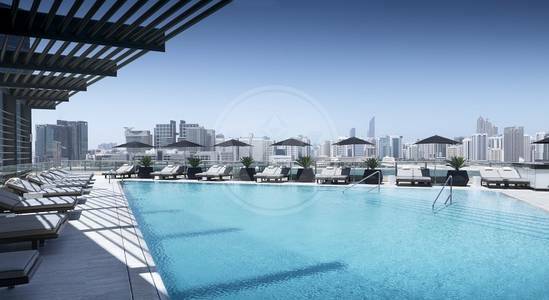 I am looking for Apartments to rent in Al Maryah Island, Abu Dhabi, UAE. Please let me know about any suitable properties you have. Thank you.